I love AirDroid and getting my notifications in my desktop computer while I work. However, it is very annoying that whenever I get a notification from my phone, the pop up from AirDroid comes up and the focus is changed to this window. Please do not change focus to this window! I use a lot of SSH sessions and type a lot in them. And these notifications take the focus out of my current window and I keep on typing in the notification window!!! Now I have to get back to the other window and continue or wait for the notification to disappear. This is very annoying as I lose concentration and forces me to go back to my window. Thank you! 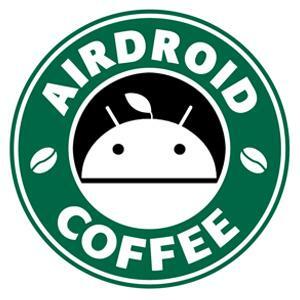 and love AirDroid. Thanks for your feedback. I've collected your feature request and we'll consider it. Please kindly stay tuned. Thank you. I'll keep on checking because this is beyond annoyance and it is affecting my job so I have muted notifications in AirDroid until this is fixed. Thanks for the patience.. We can't find the route cause of this issue and it makes it a little bit hard to fix this. Sorry. We'll keep working on this.